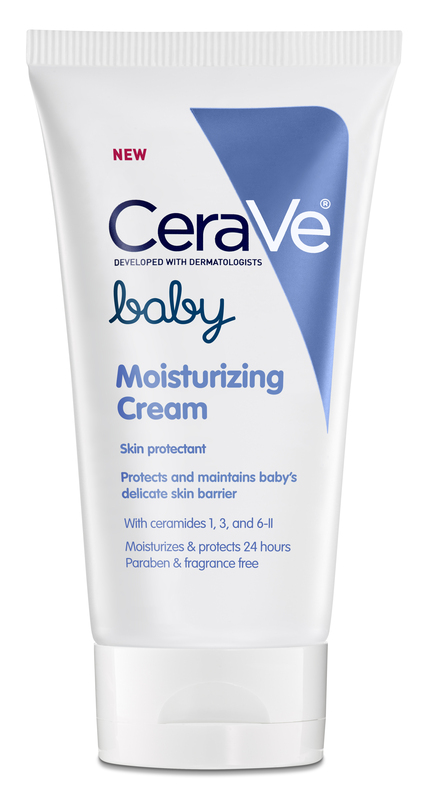 “CeraVe Baby Moisturizing Cream is a great product for people with sensitive skin, eczema, or really for anyone. It does not sting. As an allergist and mother of a daughter who has eczema, this is very important to me.”—Mommy MD Guide Sonal Patel, MD, a mom of twin daughters and a physician who specializes in pediatrics/adult allergy and immunology with the White Memorial Pediatric Medical Group, in Los Angeles. Formulated with a unique patented formula containing three essentials ceramides, NEW! CeraVe Baby Moisturizing Cream moisturizes for up to 24 hours to protect and maintain baby’s delicate skin barrier. Developed with pediatric dermatologists, CeraVe Baby Moisturizing Cream contains 1.2% Dimethicone to help provide intense moisturization. Formulated especially for babies with sensitive skin or eczema, to temporarily protect and help relieve chafed, chapped or cracked skin. Designed for use on the face and body, CeraVe Baby Moisturizing Cream utilizes a patented Multivescular Emulsion (MVE®) technology, which allows for a controlled and steady release of ingredients over time. CeraVe Baby Moisturizing Cream is hypoallergenic and fragrance-, paraben-, gluten- and phthalate-free; it is ideal for dry to normal, as well as, sensitive skin. You can buy CeraVe Baby Moisturizing Cream for around $9.99 for a 5.0-ounce. tube at store such as CVS, Meijer, Rite-Aid, Babies “R” Us, Buy Buy Baby, and Amazon. Visit CeraVe.com for more information.